Chelsea Handler’s NETFLIX Talk Show Made Me Get Up and Vacuum! Over the past 20+ years I’ve watched, analyzed and programmed countless new talk shows. Most of them failed. That’s because launching a successful talk show takes more than just a familiar face. It’s takes a strong point of view, a clear identity and talent with whom the audience connects. Chelsea Handler’s new talk show for NETFLIX is an interesting experiment. The streaming service known for popular and acclaimed scripted series has not just dipped its toe into the talk show genre, but jumped in head first. 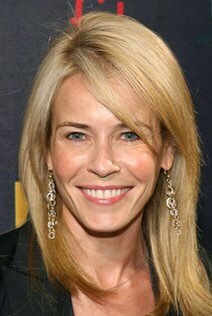 I like Chelsea Handler. I enjoyed her show on E! I especially enjoyed her when she covered topics in which she was particularly interested or invested. By the end of her run on E! Handler was honest about not wanting to talk about the Kardashians and Justin Bieber anymore. Her show on NETFLIX affords her the freedom to more clearly define her voice, not just as a comedian but as citizen of the world. So, having experienced what I can honestly say are some of the worst talk show launches ever, I chose not to watch the first week’s batch of episodes that NETFLIX made available for streaming. Instead I started with week 2. I immediately had the same problem with Chelsea that I had on her E! talk show, her monologue. Although this really doesn’t count as a traditional monologue since she she only covered one topic and quickly moved on to her guest, Christina Aguilera. The interview portion was fine, but Chelsea lost me when the segment moved into Aguilera giving her voice lessons. Next, was an interview with openly gay soccer star Robbie Rogers and some sports critic. Talking about why soccer isn’t as popular in America as it is in the rest of the world is not in Handler’s wheelhouse and that’s not unexpected. As Handler tried to keep the segment interesting by making fun of the critic, I decided I should vacuum my living room. When I turned to the tv, there was pretaped segment of Chelsea learning how to figure skate on, so I decided I would clean the stairs. Then, as I turned the vacuum off, I look up at the tv and Chelsea was back with Rogers and the sports critic talking about Rogers’ experience coming out as a major sports star and the reception of homosexual athletes in the world of sports. It was a topic in which she was invested. She asked great questions. It was an interesting conversation. Even the critic was interesting. I was seeing Handler in her wheelhouse, in her voice. As anyone with NETFLIX knows, after an episode of a show ends, it will automatically take you to another episode. This one was a conversation with comedian Wanda Sykes, where they discussed why Sykes would perform in North Carolina despite their recent transphobic bathroom law. They then segued into the presidential election. It was a compelling discussion about why they like Hilary Clinton, but also why they weren’t necessarily excited by her. They were smart and funny. Not a surprise. During the segment, Chelsea introduced President Obama’s former speechwriter Jon Favreau (not the actor/director) and the three continued an compelling conversation about their election with Favreau sharing two insightful and funny stories about President Obama. Chelsea Handler will produce at least 90 episodes of her show for NETFLIX. This gives her the time to find her footing and the right voice for the show. It will be interesting to see what happens with this show. Unlike the scripted shows on NETFLIX this isn’t a show that I would binge in one sitting. There doesn’t seem to be a lot of buzz about it, and I’ve seen no promotion. Honestly, I forgot the show had debuted until I saw it on the home screen when I went to check out some viewing options on the streaming service. Chelsea Handler has 5.8 million Twitter followers,so maybe that’s all the promotion she needs. I follow her and can’t remember seeing one tweet from her about the show. She should put her assistant on that, stat! Have you watched Chelsea on NETFLIX? Leave your thoughts in the comments section. Next Post PODCAST: “THE GOOD WIFE” FINALE SPOILER: IT’S NOT A ROMCOM!! Previous Post CUTTING THE CORD: DAUNTING OR DOABLE?